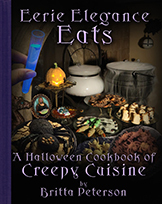 Britta Blvd proudly presents Eerie Elegance Eats: A Halloween Cookbook of Creepy Cuisine! This third book in the Eerie Elegance series celebrates over twenty years of delightfully disturbing both children and grownups alike with Halloween recipes in a niche between gory horror displays and cute but tame kid-friendly foods, making the world smile with a touch of spooky style. Over thirty exclusive new recipes plus all your favorites from both previous Eerie Elegance books are now available as one convenient Cookbook of Creepy Cuisine organized in eight chapters: Mad Scientist Body Parts; Beverages, Brews & Potions, with safe dry ice and edible glow effects; Creepy Cuisine Contest Champions; Scary Savories; Dastardly Desserts; Spooky Spiders & Skeletons; Dia de los Muertos Delights; and Gingerbread Goodies, including the giant Ghoulish Gingerbread Haunted House! and a digital version is available on Kindle! See the order page for details! Follow BrittaBlvd on Instagram for Popular Parties with Panache, Fun Food with Flair, and other Whimsical Works, including costumes, cosplay, steampunk, Halloween and Eerie Elegance! especially Eerie Elegance for Halloween! 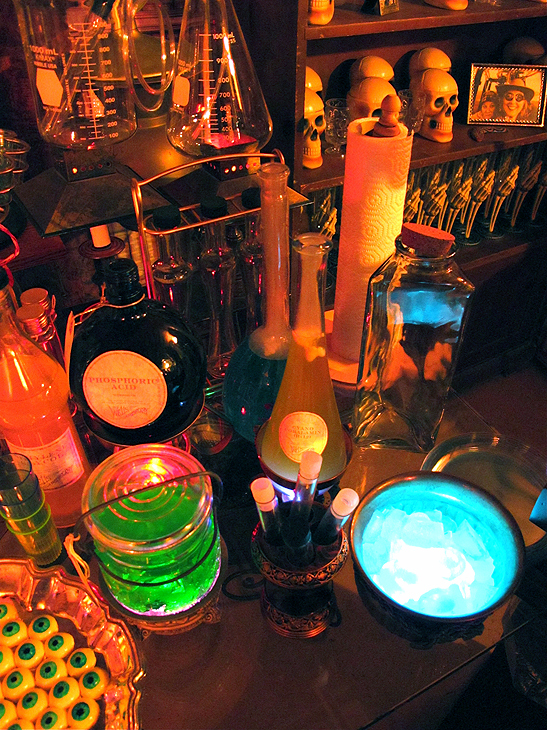 Stay up-to-date on current Halloween projects in progress on BrittaBlvd! Is Halloween your favorite holiday? 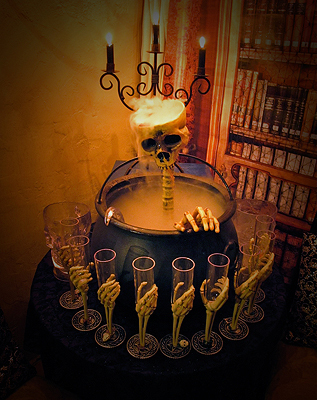 Love to set a spooky mood and tantalize your guests with delectable delicacies? Want your friends to be talking about your Halloween party for years to come? 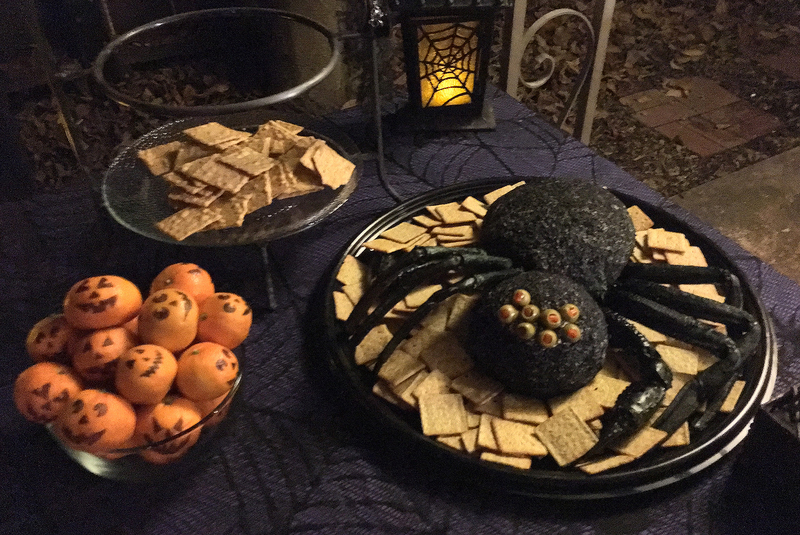 Eerie Elegance Eats celebrates over twenty years of delightfully disturbing both children and grownups alike with Halloween recipes in a niche between gory horror displays and cute but tame kid-friendly foods, making the world smile with a touch of spooky style. Over thirty exclusive new recipes plus all your favorites from both previous Eerie Elegance books are now organized in eight chapters as one convenient Cookbook of Creepy Cuisine! and Gingerbread Goodies, including the giant Ghoulish Gingerbread Haunted House! 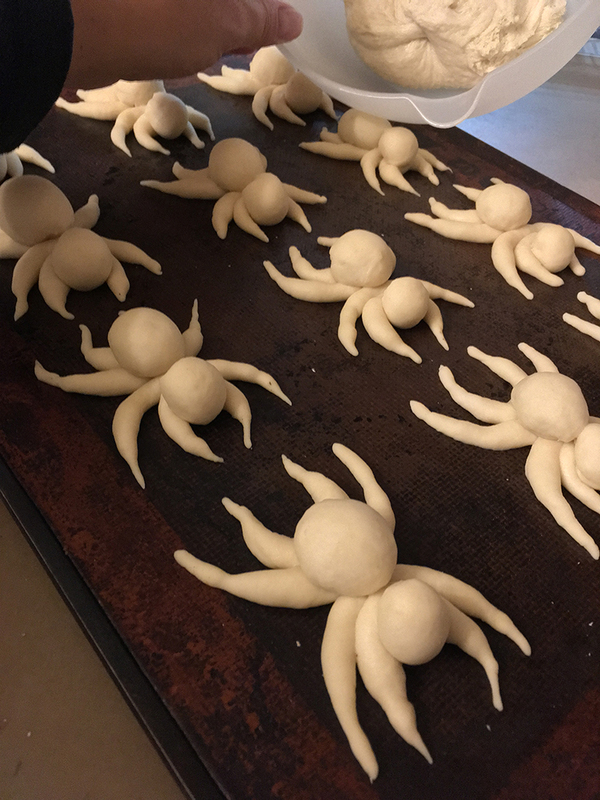 Halloween enthusiasts world-wide have been downloading Britta Blvd's home-spun recipes for over twenty years, and in that time author Britta Peterson has been awing party-goers with her extravagant environments. 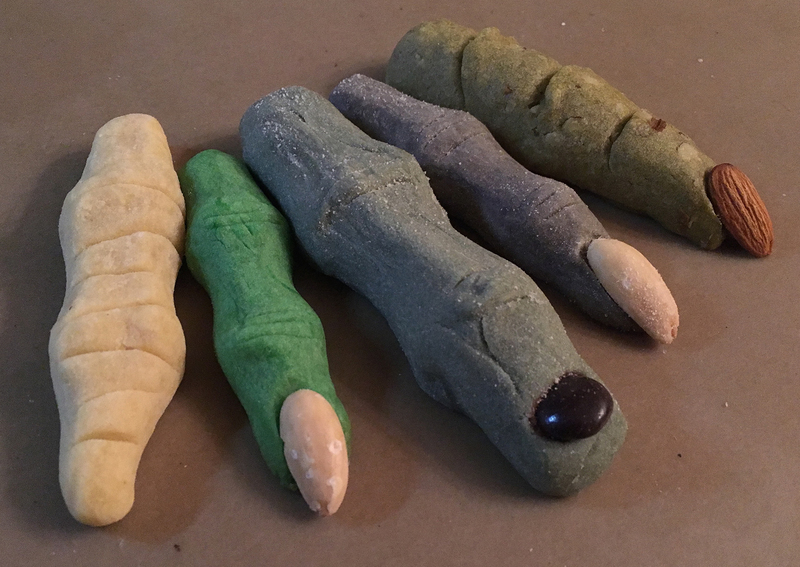 Now all her Halloween recipes are in one collection with full-color photos and step-by-step instructions, with something for every budget. 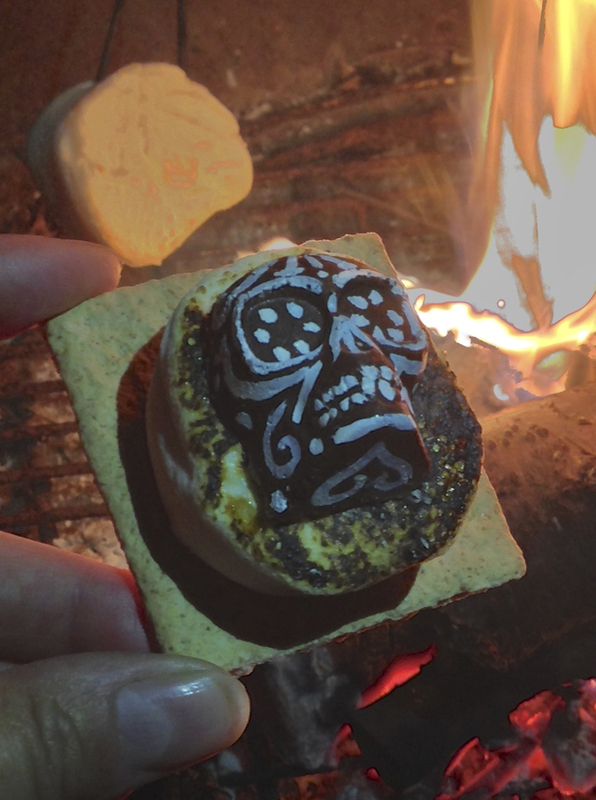 From the quick and easy to the elaborate and challenging and everything in between, you too can enjoy creating Creepy Cuisine with Eerie Elegance Eats! Eerie Elegance, Enhanced Eerie Elegance, & Eerie Elegance Eats are original publications of Britta Blvd Publishing. All text, photographs and illustrations copyright © 2008-2018 by Britta M. Peterson and Britta Blvd. All rights reserved, which includes the right to reproduce these books or portions thereof in any form whatsoever except as provided by U.S. Copyright Law. For information address Britta Blvd Publishing. The Eerie Elegance website is copyright © 2008-2018 Britta Blvd. All rights reserved. All text, photos, graphics, artwork and other original material on Britta Blvd are copyrighted and may not be published, broadcast, rewritten or redistributed without prior written consent.